Please register for Vision Online Services (VOS) - see links for further information. Vision Online Poster Vision Online Services Information Vision Online Registration Form. You will be asked to bring the signed registration form to the practice along with photographic ID and proof of address. Prescriptions for regular medication will only be ready TWO working days (48 hours) from when you order. NB. Prescriptions ordered on Thursday will not be ready until Monday and prescriptions ordered on Friday will not be ready until Tuesday. In addition to the 48 hours required to generate the prescription, the pharmacy will require time to dispense your medication – please allow additional time for this. - If you would now like a local pharmacy to collect your prescriptions, you must make an arrangement with the pharmacy of your choice – please note that some pharmacies do not collect every day. - The practice must then be informed in writing (by the pharmacy) so we can amend your computer record to ensure all prescriptions automatically go to this pharmacy. With a few exceptions, regular medication will be issued in 28 or 56 day quantities in line with NHS Grampian recommendations and reviewed annually. 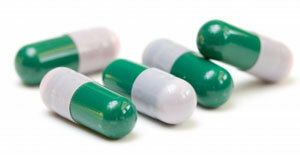 We recommend that you order your medication 7-10 days before it is due to run out. Please do not order excessively early or stockpile medication. Phoning the repeat prescription line? State your name (first and surname), date of birth, your contact phone number, each item you require (drug name and strength) and, if required, which pharmacy the prescription is to go to. In person, please hand the following request into the post box in reception.